This post explains a couple of methods that could be used to avoid accidentally closing tabs in Edge on Windows 10. This post explains how to enable or disable Edge extensions support using the Local Group Policy Editor, command prompt, or the registry. This can be useful if you need to prevent users from running extensions on Microsoft Edge. Microsoft Edge is a new browser in Windows 10. It shows a speaker icon on tabs that are producing sounds. 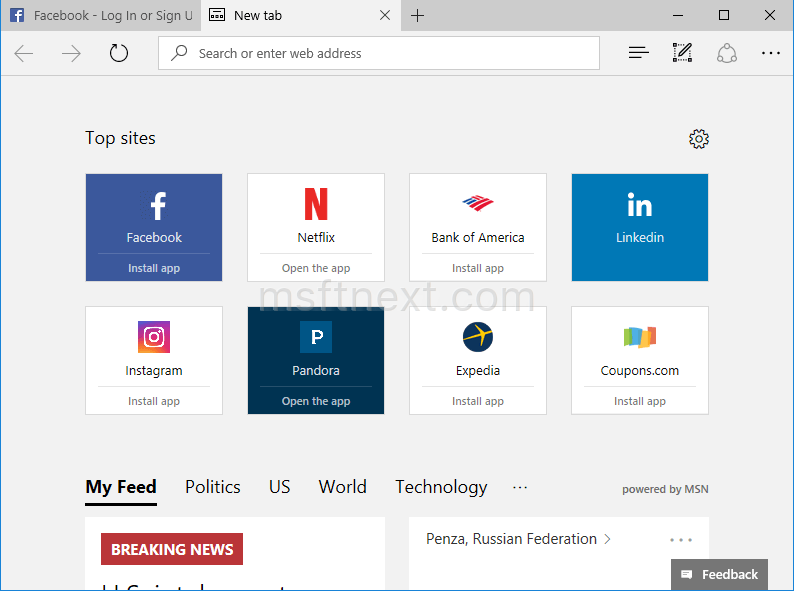 It is possible to make Edge always show the address bar when a new tab or the start page opened. With a Registry tweak you can make Microsoft Edge always show the address bar by default. Here is how it can be done.